Warning: If you have a dog who has issues with fireworks, thunder, or gun shots, do not play with the sound on. The structure to my right is the Neues Rathaus (New City Hall). Throughout the structure, sculptures depict the various kings and dukes that have led Bavaria through its long history. It was bombed during the Second World War, so the structure has been pockmarked by shrapnel. That tree with with the Christmas lights is a live fir or spruce tree. It was very cold and very tightly crowded. Grmans and Italians were singing and dancing behind me. Champagne and beer were being consumed all around. The fireworks were fairly close in to the crowd, and it got very smoky after a while. 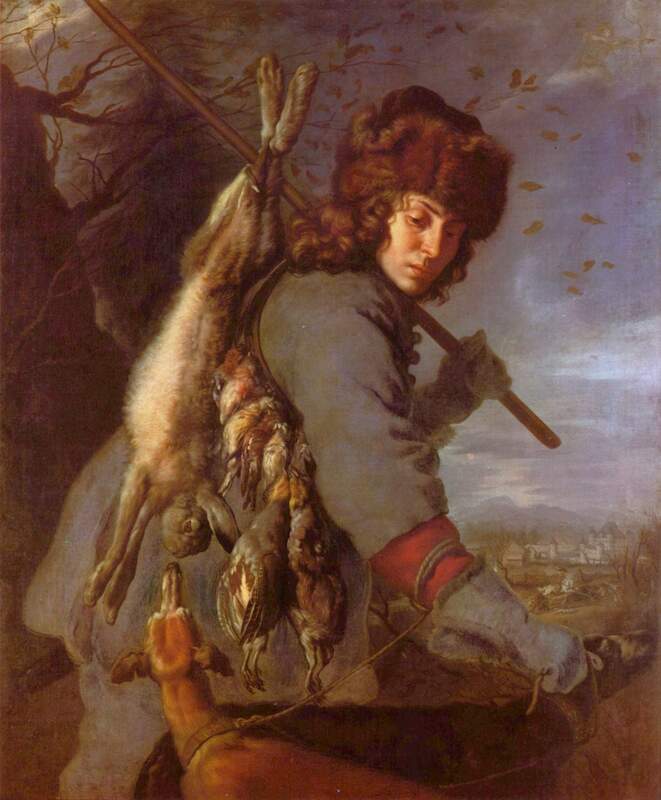 Joachim von Sandrart's depiction of a German hunter wearing a fur hat in the seventeenth century. This painting is on display in Munich. I have a new ushanka. It was purchased in Munich as a Christmas present from my uncle (Willie’s dad). 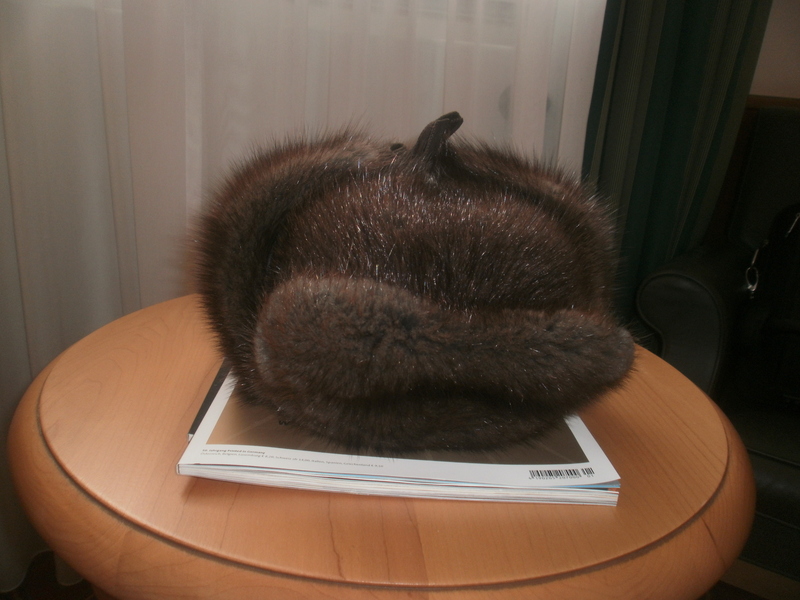 It is made of mink fur. I guess I am one Democrat who won’t be getting awards from PETA. 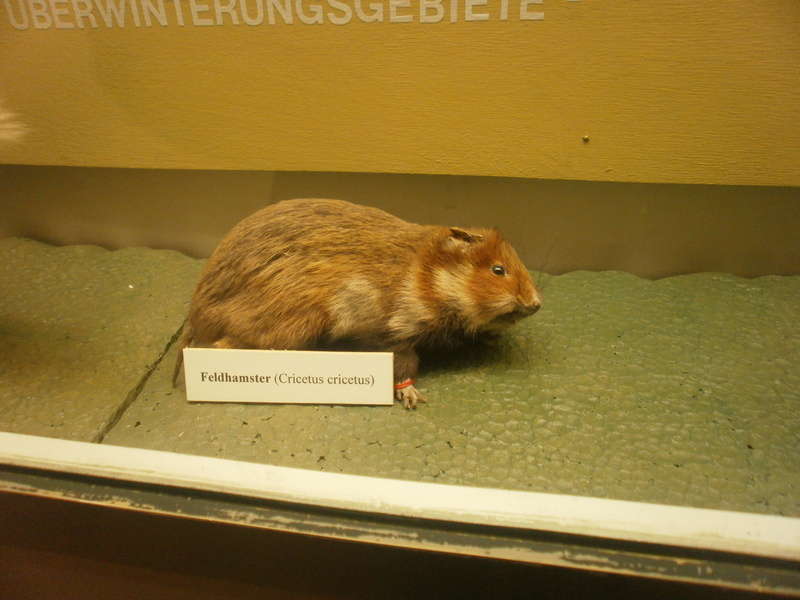 At the German Hunting and Fishing Museum in Munich, most of the animals on display are modern animals that can be found in Germany. However, the remains of two Pleistocene species are also on display. When I saw the first of these two creatures, my heart started beating really hard. I had seen photos of its massive frame and huge palmated antlers. To see the skeletal remains of one up close was a truly remarkable experience. 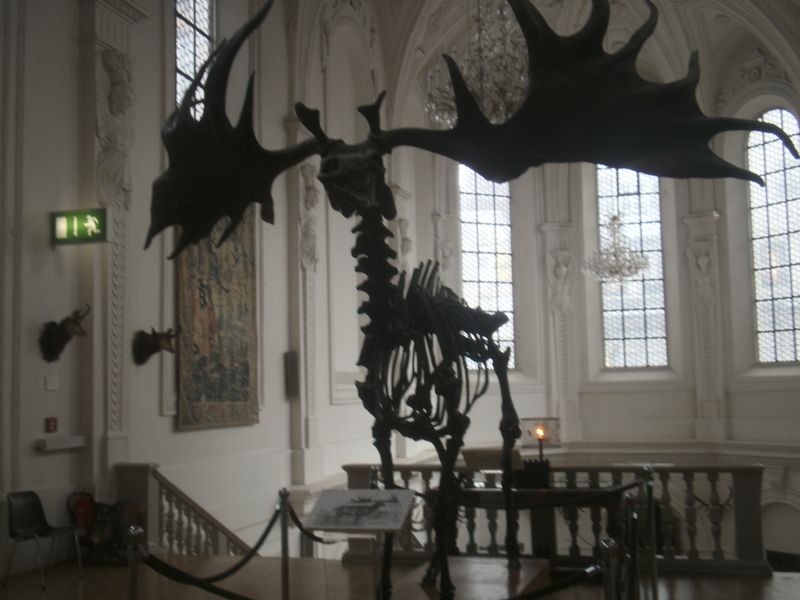 Of course, I am talking about the so-called giant Irish elk, giant deer, or shelk/Schelch (Megaloceros giganteus). This big deer was probably more closely related to fallow deer and not the two modern species that we call elk. The stags’ antlers were likely for display purposes only. Because they were so large and positioned out to the sides, they really couldn’t have fought with them without damaging them. The hinds likely preferred to mate with only those stags with the most impressive antlers, and thus, the trait was maintained within the species, even though those antlers were quite unwieldy–especially when forests returned to Northern Europe at the end of the last Ice Age and the animals were forced to traverse dense forest. 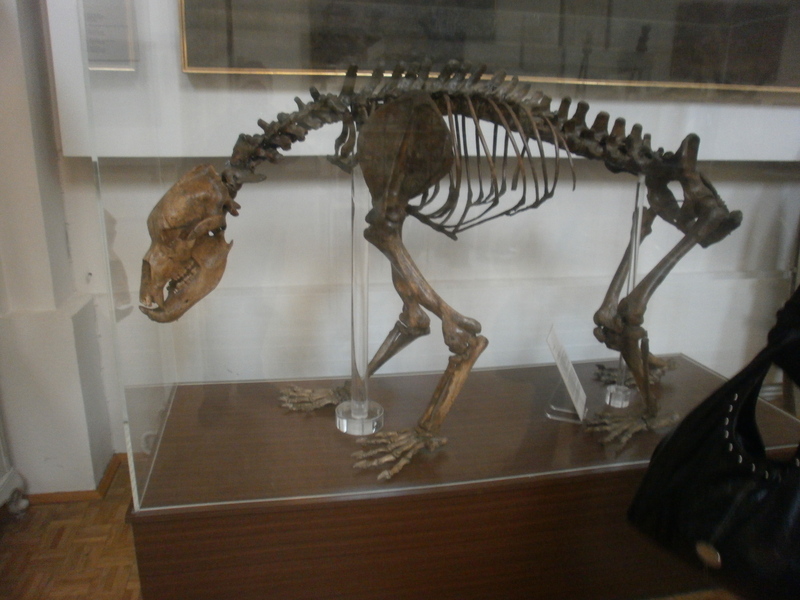 The other Pleistocene species on display at the museum is a cave bear (Ursus spelaeus). This animal was a close relative of the brown/grizzly bear species and the polar bear. It also lived during the Pleistocene. Viirtually all of its remains have been found inlimestone caves, which is why the species go its name and may be the reason for its extinction. One theory goes that these bears never utilized anything but limestone caves for their hibernation dens. As human populations increased, these caves became occupied, and many bears froze or starved to death during the winters. Because sows give birth to their cubs during hibernation, many cave bears likely perished as tiny cubs that were born out in the elements. Brown bears used a wider array of hibernation sites, and when humans took over caves, they simply went elsewhere. This allowed the brown bear to thrive even with expanding human populations. One must remember that bears learn from their mothers how to forage and where to hibernate. We can see something similar to this situation today with grizzly bears and polar bears. Grizzly bears are omnivores, and the sows teach their cubs how to forage for a lot of different foods. Polar bear sows teach their cubs how to hunt marine mammals over the frozen arctic sea. When a polar bear is force to live on the land, it cannot utilize the land resources as well as a grizzly bear can. The polar bears did not learn how to properly forage on land as cubs, and when they must do so, they are at a loss. It is likely that cave bear sows taught their cubs to hibernate in caves, but when the caves became occupied, they did not have any skills that allowed to find alternate hibernation sites. Neanderthals may have worshiped cave bears. Many skulls and bones of cave bears have been in caves that have been associated with Neanderthal remains. Some of these bones and skulls ahve been placed in ways that indicate an arrangement for ceremonial purposes. One of the most notable features in Munich is the Mariensäule. It is located in the Marienplatz not very far from the Neues Rathaus (New City Hall). The gold statue of Mary (Maria) dates to 1590 and was originally displayed in the Frauenkirche, the main cathedral in Munich. Munich was occupied by the Lutheran Swedes during the Thirty Years’ War. When Swedish occupation ended in 1638, the golden statue was placed on a column in the city square. 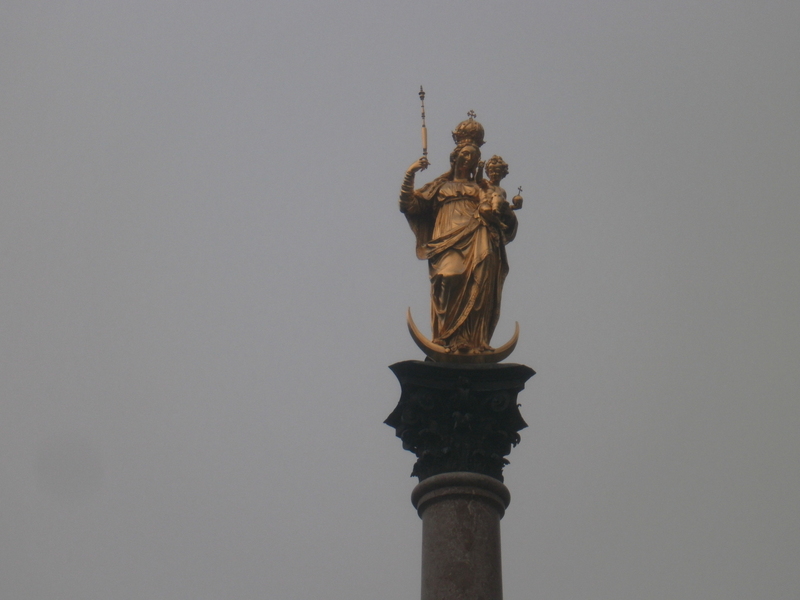 Marian columns are fairly common in Roman Catholic countries, but this was the first one erected north of the Alps. Amazing performance. I don’t know if these performers are Tuvan, Mongolian, from the Altai or Khakassia. If someone knows, please enlighten me. BTW, did you see the golden retriever walk by? I went out on the streets around the Marienplatz today. Dogs everywhere. I saw a lovely dark, moderately (and correctly) built golden today. It was quite dark, but had the neatest light shadings I’ve seen on a golden. I also saw a long-haired vizsla (one with the faulty setter coat) and a German spaniel (Watchelhund). German shepherds are here in droves. And undocked Jack Russell and wire fox terriers.